I have followed the set up instructions but when I click iCloud drive no files are shown. It works find in regular OS X Finder. If I customize the sidebar from the default will this prevent iCloud drive from working? Path Finder Support Team closed this discussion on 03 Mar, 2019 02:47 PM. Sorry for the late reply but it didn't notify me there was a reply. Can I get email notifications of replies? 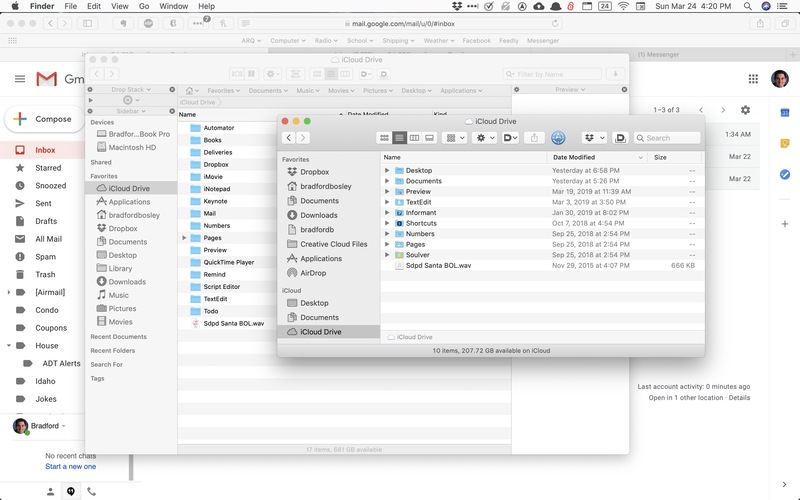 It worked but looking at icloud drive in Finder versus Path Finder the list of folders is different. You should receive our replies to your email address. Which versions of macOS and Path Finder are you running? 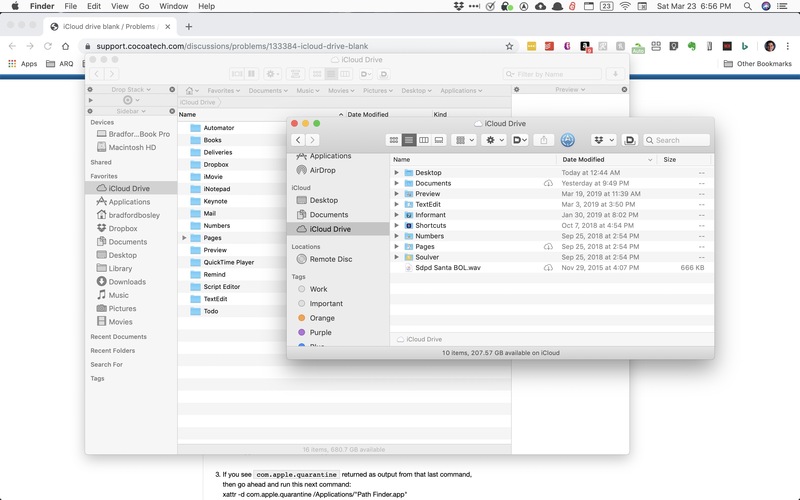 Would you mind attaching a screenshot of the differences between Finder and PathFinder iCloud folder representations? Path Finder Support Team closed this discussion on 20 Mar, 2019 08:14 AM. Yes my email address is correct in my profile. Could you please open System Preferences -> iCloud -> iCloud Drive item -> "Options..." and uncheck "Optimize Mac storage", then wait a few minutes and check if PathFinder displays the remaining items? Path Finder Support Team closed this discussion on 24 Mar, 2019 08:34 AM. Tried as you instructed. Here is what I see. Could you please open View -> Show View Options (⌘J) and enable "show invisibles"? Path Finder Support Team closed this discussion on 27 Mar, 2019 09:58 AM.